Regulator Ofcom is to compel VoIP providers to be more forthright about the services they offer, such as whether they provide access to emergency service numbers and how much a service depends on the user's own power supply. The wide-reaching watchdog has announced a new code of conduct for Voice over IP (VoIP) providers such as Skype and Vonage . All UK operators will have to comply with the code by June. 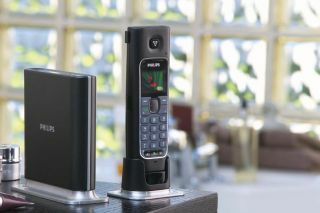 It's estimated there could be as many as three million VoIP users in the UK by the end of this year. The reaction from Ofcom follows a period of consultation in 2006 as well as the launch of a plethora of services over the last year. Ofcom has also asked providers to make it clear "whether directory assistance, directory listings, access to the operator or the itemisation of calls are available" as well as if the consumer can't keep their phone number - where one is issued for their VoIP service. If the VoIP service is dependent on the consumer's own power supply (in other words, not like a conventional telephone), Ofcom says the provider should make sure the consumer is aware of this and have warning stickers on the kit or computer screen ensuring awareness of the lack of access to emergency service numbers. Ofcom says it will "continue to review and develop its approach to regulation" of VoIP services as the UK market continues to grow. The regulator says that a number of respondents to Ofcom's consultation expressed concern about the a lack of access to emergency services via VoIP. It says it "whether, and if so how, certain VoIP services" might have offer access to emergency services.